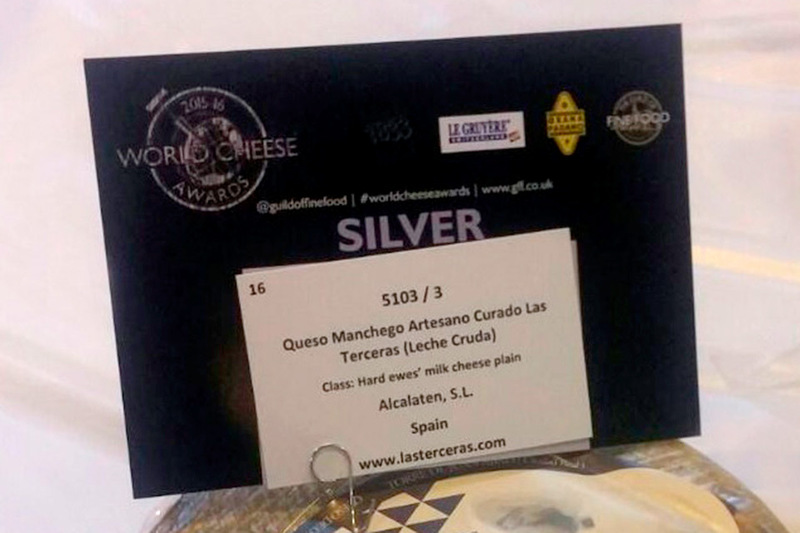 Las Terceras Hard-Cured Artisan Manchego Cheese PDO elaborated with raw milk has been recognized in the World Cheese Award with the silver medal in the Hard ewes’ milk cheese plain category. This worldwide competition, which this year took place in Birmingham, UK, is the most important event of the milk industry. It involves cheese producers from more than 30 countries around the world, and over 250 cheese experts are the awards jury. 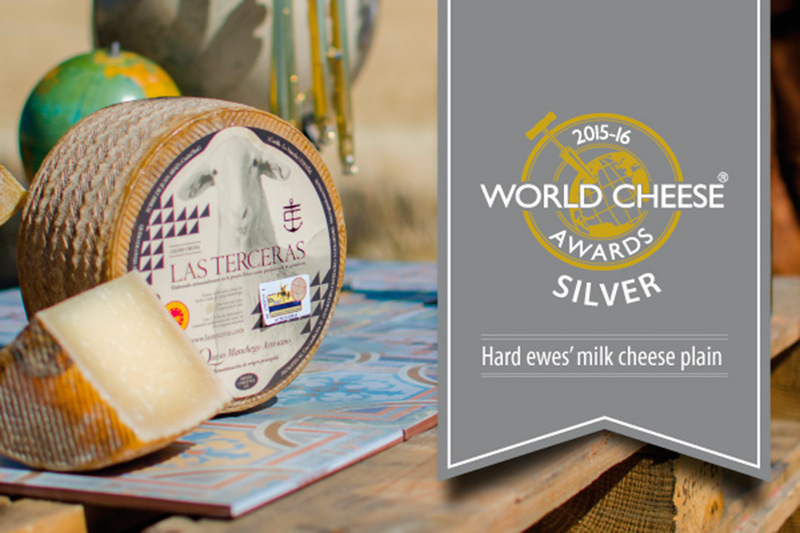 The award in the category of Hard ewes’ milk cheese plain recognizes the quality of our artisan cheese and the dedication of Las Terceras farm to develop the best products.